Thanks to a bungled robbery at a fancy hotel, the already-married Eva Griffin has been caught in the company of a prominent congressman. To protect the politico, Eva's ready to pay the editor of a sleazy tabloid his hush money. But Perry Mason has other plans. He tracks down the phantom fat cat who secretly runs the blackmailing tabloid--only to discover a shocking scoop. By the time Mason's comely client finally comes clean, her husband has taken a bullet in the heart. 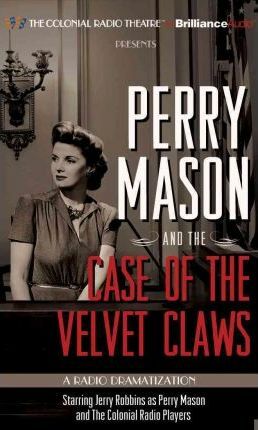 Now Perry Mason has two choices: represent the cunning widow in her wrangle for the dead man's money--or take the rap for murder.